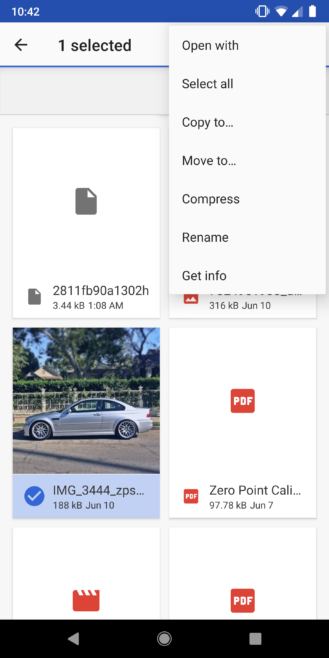 5 "Downloads" is now "Files"
Since Android P's inception, we've written over 100 feature spotlight posts about various new changes Google has added in. Even in its third developer preview, lots of changes are still being added, but some are so minor they don't really warrant their own posts. However, if you like nitpicking every little thing like many of us, this might be the post for you. 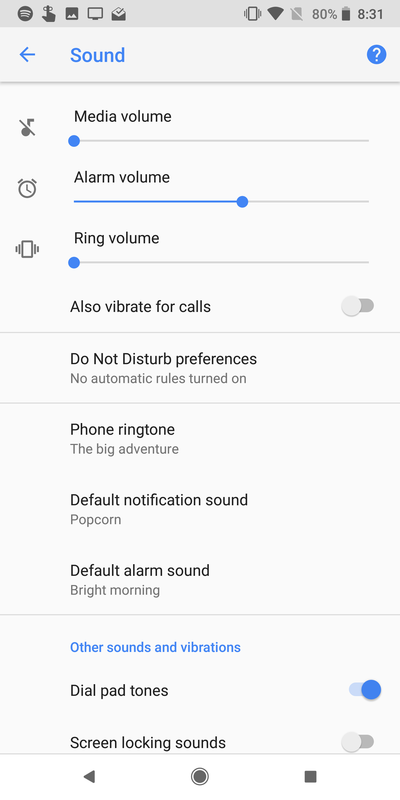 The Clock icon in the recents menu is now live, showing the actual time. 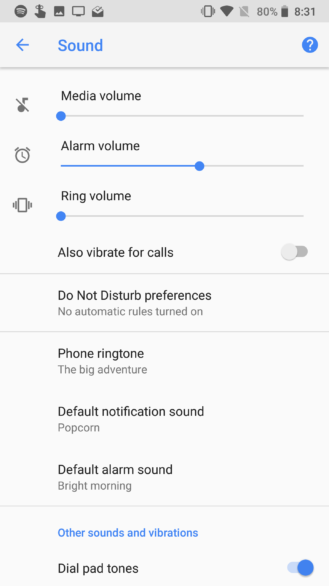 This was actually added in DP2 with the redesigned recents menu, but we didn't notice it. After all, we don't open the Clock app that often, and it's not the easiest thing in the world to see. However, it's a nice touch, and it matches the launcher's dynamic icon as well. 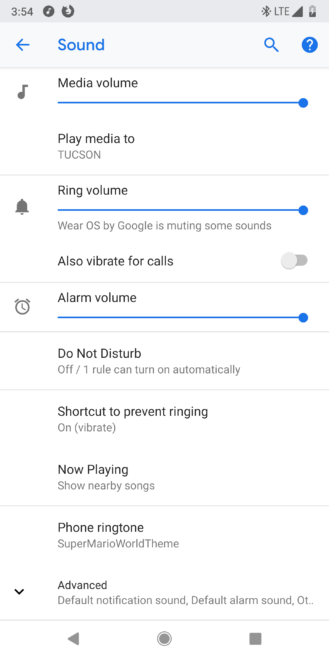 Those of you who change your alarm or ring volume often for whatever reason might have noticed that Google has actually flipped the positions of both. 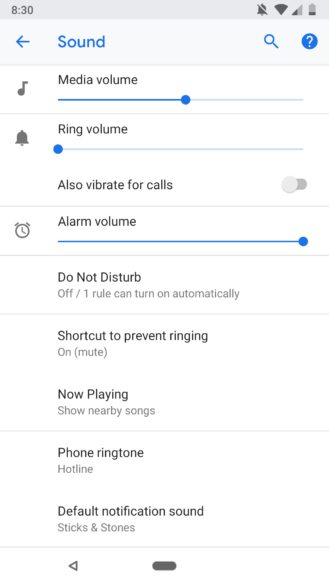 Whereas Android P DP2 and prior all had the sliders arranged from top to bottom as Media, Alarm, and Ring, DP3 swaps that to Media, Ring, and Alarm. We're not entirely sure why Google did this, but what's done is done. DP3 adds a new "Previously connected devices" section for Bluetooth. 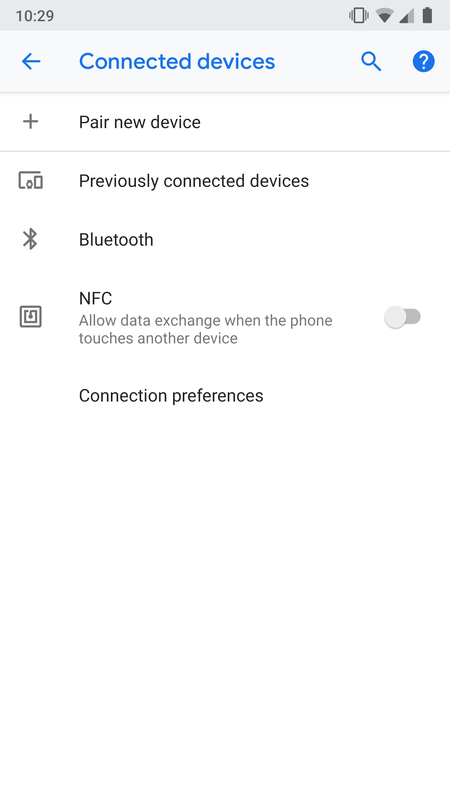 Tap on that, and all of the Bluetooth devices you had previously connected to will appear. 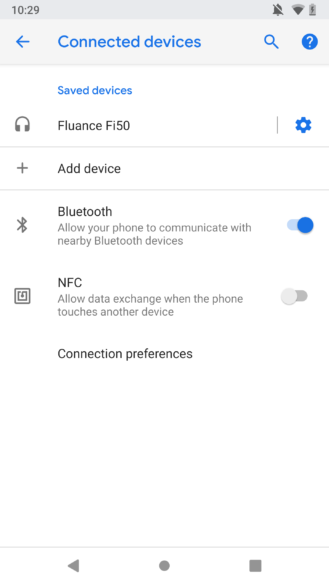 In DP2, this was just shown under the main "Connected devices" section, but those with lots of Bluetooth devices paired could easily be forced to see a needlessly-large list front and center. Consolidating the list into its own section is a better idea. There are two other changes here. "Add device" has been renamed "Pair new device" (slightly more descriptive), and there's no longer a Bluetooth toggle and description. 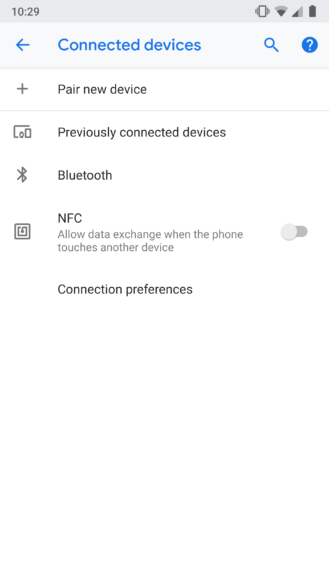 Instead, tapping the Bluetooth wording simply brings you to the main Bluetooth section, which it didn't do before. This is probably a better solution. This one's pretty straightforward: when your connected Wear OS watch is controlling some aspects of your phone's volume, there's some wording underneath your Ring volume that reads, "Wear OS by Google is muting some sounds." We're not 100% sure if this is new in DP3, but you guys can let us know if you've seen it before. In 8.1 Oreo, Android P DP1, and P DP2, the file manager is called "Downloads." However, DP3 renames it to "Files." The icons stay the same, though; Pixel 2s still have the little folder icon, whereas first-gen Pixels retain their download icon. There's also a "Get info" option in the hamburger menu. This is also showing up on my Pixel XL on DP2, so it may not be brand new, but it's the first time we're seeing it. 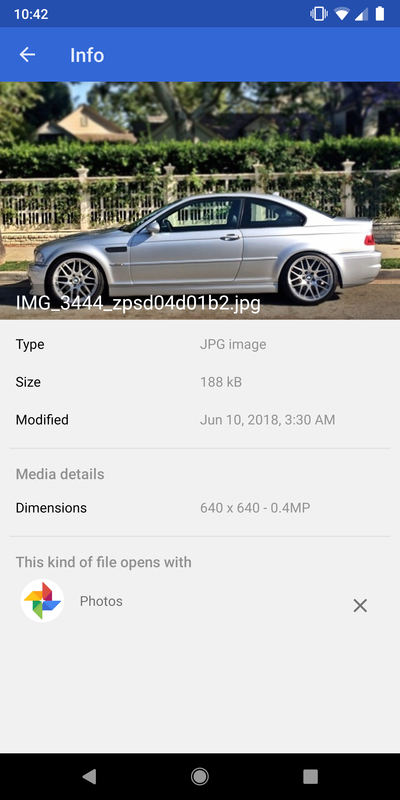 If a file is selected, that option will reveal details about it. If nothing is selected, it'll simply show information about the folder. If more than one file is selected, it'll be (understandably) greyed-out. 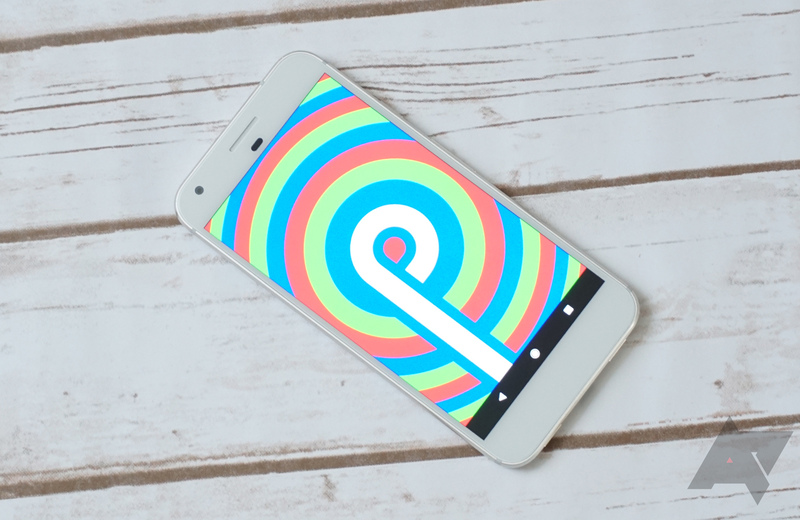 If you've discovered any other DP3 changes, let us know in the comments and we'll check them out.